Today is the start of the second annual Secret Odin! 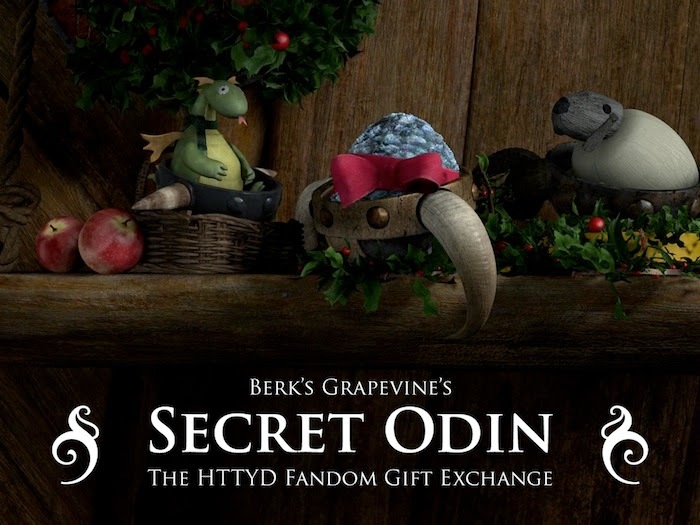 Secret Odin is an online Secret Santa for How to Train Your Dragon fans. People who participate make a gift for the person they are assigned to. On January 14, everyone exchanges gifts with each other! What kinds of gifts can you give? Anything dragon-related! In the past, people have exchanged stories, art, comics, Photoshopped images, and dragon music videos (DMVs). An attempt will be made to match you with people who have similar gift preferences. Although Secret Odin tends to be a bit less explosive than other Snoggletog traditions, it's still a ton of fun and a great way to get to know other people in the How to Train Your Dragon fandom! Questions? Check the FAQ section or ask them in the comments!